Are you looking for an elegant way to present a spectacular bottle of wine? 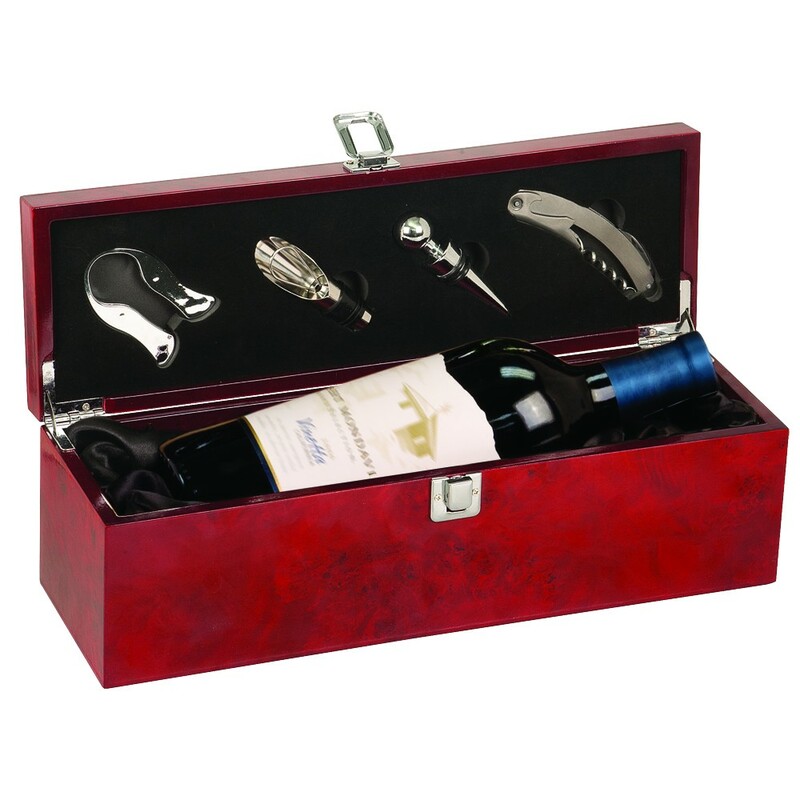 Our Burlwood Wine Presentation Box with Opening Tools is an impressive gift! 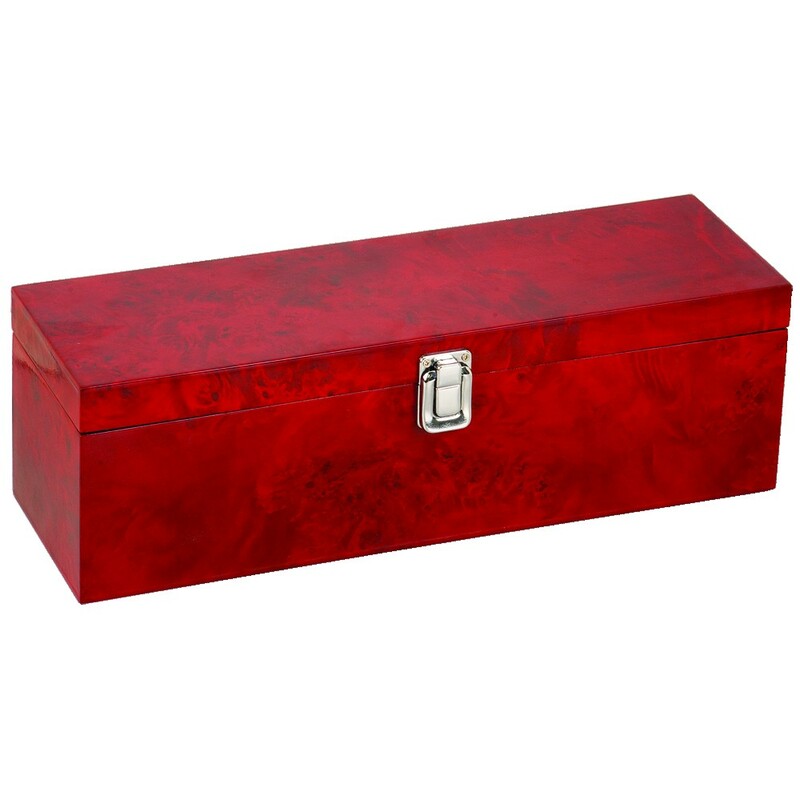 This beautiful burlwood box features a high gloss finish with 6 lines of customized engraving included in the price. Inside the box is a space for a special bottle of wine along with 4 wine tools. Tools include a corkscrew, stopper, decanter, and foil cutter, all nestled into the lid. Foil cutter is plastic; all other tools are stainless steel. Corkscrew includes fold out knife, bottle opener, and boot lever. Box measures 14 1/4" by 4 1/4" by 4 5/8"; wine not included.